The RV box camera is capable of capturing everything you can’t see without it. A 120° viewable angle ensures that you see every blind spot surrounding your vehicle. 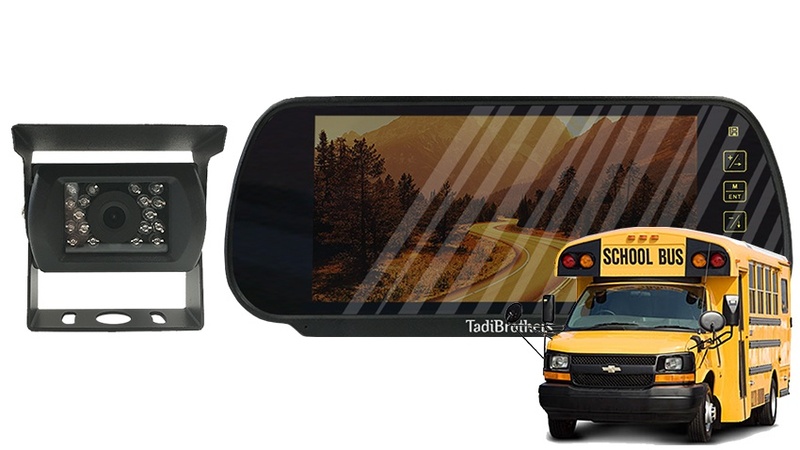 The camera included with the School Bus Backup Camera System (7" Mirror Monitor with a CCD Mounted RV Backup Camera) is the most durable camera Tadi Brothers offers. It has been tested time and time again and is able to sustain direct hits and harsh sands without the loss of operation. Focus on what is important and protect those around you with a backup camera system for your school bus. This item includes a 50 Foot cable, if its going on an RV, Trailer, BUS or any other vehicle longer than average SUV you will have enough length.